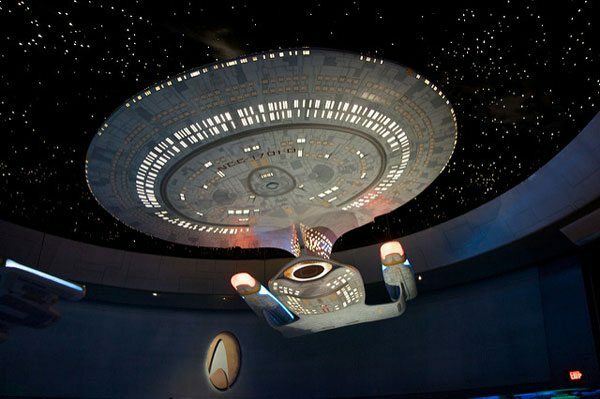 In Star Trek, there are various starships. Each has a different captain and a different mission. However, they are bound together by Starfleet, an organization that supports and coordinates the work of all the ships. Starfleet is big, with multiple departments. There’s Starfleet Academy, which trains officers; Starfleet Command, which provides governance; Starfleet Shipyard, which builds the ships; Starfleet Judge Advocate General, which serves as the judiciary branch, and so on. It’s time for us all to abandon our outdated practices and move into the future. The Star Trek analogy is not perfect. Starfleet is extremely rigid, militaristic, and hierarchical, where ship captains rank lower than Starfleet leaders and are told where to go and which ship to command. Many of those philosophies and practices will not work or would even be harmful when translated into the nonprofit sector. There will be supporting entities that provide shared back-office support. Instead of every organization having its own bookkeeper, CFO, HR director, evaluator, IT director, and so on, the supporting entity will have teams handling those things for everyone; not teaching them how to do it, but actually doing it for them. Alliance members pay a sliding-scale fee based on their budget for these services. This will create an economy of scale that will benefit all members. Fiscal sponsorship will be something not frowned upon, but encouraged. This model may require Alliance members to put their own 501(c) status on hiatus to go under the fiscal sponsorship of the supporting agency. That sounds a little creepy—OMG, the Borg is annexing everyone!—but that’s because fiscal sponsorship has been given a bad rap. There is a lot of stigma around it, so one of the most effective tools at our disposal is looked upon with fear or disdain by many in our sector.2 This results in many organizations becoming or remaining 501(c) organizations despite their complete lack of interest in or capacity to handle administrative functions. Executive directors will be more focused on the mission. Each organization will still have its own executive director or CEO. These leaders will be able to devote significantly more time to mission and programming and collaborations with other leaders, since they will not need to focus as much energy on operations. According to Daring to Lead 2006, a report from CompassPoint and the Meyer Foundation, the lack of administrative support is a key contributor to executive director burnout in small and medium-size organizations. “Executives report that finance and fundraising are at once their least favorite aspects of the job and the areas in which they most want to build their skills.”3 Probably because they have no choice in our existing model. Boards will be more focused on vision, strategy, and advocacy. Many boards, especially in smaller organizations, spend a lot of their time in operations. Some are very focused on their fiduciary and legal responsibilities. Unfortunately, that often ignores one of the board’s most important roles: representing the interests of the community at large and ensuring the organization is achieving its mission, vision, and values. In this Community Alliance model, they can now focus more on these critical areas. Fundraising will be a combination of individual and joint efforts. Each organization in an Alliance continues to raise funds (fiscally managed by the supporting organization) for its own individual mission. There may also be joint efforts to raise funds for the entire Alliance, however. Some Alliances may explore a co-op–like model where funds are raised and then shared equitably among Alliance members. There will still be occasional points of tension among Alliance members due to funding challenges, but the constant communication and cooperation among members leads to greater funding to the sector overall. The combined power of organizations working together will significantly help bring about effective funding practices, such as multiyear, general operating funds and a culture of abundance, not scarcity. RVC has partnered with Families of Color Seattle (FOCS) to pilot our back-office support program, and already the results are amazing. Freed to focus on its critical work, FOCS has been on fire, providing programming to families with kids of color around identity, undoing racism, and teaching equity in schools and communities. And now we are in discussion with other organizations that are interested in joining the Alliance. It’s still in an experimental stage. We are still exploring how to provide back-office services most effectively, as it is currently not clear what structures or systems are the best path forward for RVC and our partner organizations in Seattle. Nonprofits. All of us need to get over the idea that we must all do our own operations. We need to assess whether having our own operating staff is the most efficient route, or if going under the wings of a fiscal sponsor or forming an Alliance will be more effective. Many of the things we assume to be true may not necessarily be what’s most effective or what’s best for our communities. Because the vast majority of nonprofits are small or mid-size and continue to struggle to do our programmatic work while simultaneously handling a dozen or so highly specialized skills, we should really rethink whether we should be doing our own finances. Or HR. Or IT. Or legal. Or insurance. Or payroll. Let’s think of what we can do when these tasks no longer consume our organizations’ time and energy. Funders and donors. Funders and donors have been encouraging nonprofits to collaborate more, possibly even to merge, and to be more innovative. The Alliance model does all those things. To make it work, though, we’re going to need you all to take more risks. You need to remove the biases you have against organizations that are fiscally sponsored. In fact, you should view these organizations as bold and focused on mission and fund them generously. You need to give significant amounts of funding to these Alliances as well, and work with them as partners to ensure the model succeeds. And you must prioritize funding Alliances that are led by and serving people of color, people with disabilities, LGBTQ people, women, rural communities, and the like. And critically, you must directly fund each member in the Alliance and not use networks and collaborations as a way to just give money to one backbone or support organization that then trickles down to far less money for each individual organization involved. Capacity builders. Fellow capacity builders, we have to get out of this mindset that we must train every organization to do everything. As I mentioned in past articles, this default “Teach a person to fish” mentality of capacity building is archaic and ineffective.5 Most organizations are carpenters, and we’re forcing them to spend half their time fishing—HR fishing, evaluation fishing, financial management fishing—and then we wonder why not enough houses are being built. If an organization is an amazing carpenter, our job as capacity builders is to give them the fish so that they can do their work. Everyone needs to do what they are good at. Nonprofit: Always Fresh; “The Nonprofit Hunger Games and what we must do to end them,” blog entry by Vu Le, August 3, 2015. Rainier Valley Corps; “The Stigma Against Fiscal Sponsorship Needs to End,” blog entry by Vu Le, June 14, 2017. Jeanne Bell, Richard Moyers, and Timothy Wolfred, Daring to Lead 2006: A National Study of Nonprofit Executive Leadership (San Francisco, CA: CompassPoint Nonprofit Services, 2006), 22. Outsourcing Back‐Office Services in Small Nonprofits: Pitfalls and Possibilities (Washington, DC: Management Assistance Group and the Eugene and Agnes E. Meyer Foundation), 2. See, for instance, Nonprofit: Always Fresh; “Capacity Building 9.1: Give someone a fish, let them focus on carpentry,” blog entry by Vu Le, October 3, 2016.